With almost 500 million products listed on Amazon, it can be hard to get yours noticed organically. Fortunately, Amazon is continuing to make dents in the market and offers a completely viable option as an advertising platform. At the end of 2018, Amazon was making up around 50% of the eCommerce market and it is estimated that 80 million Americans are Amazon Prime members so your market is phenomenal. They work just like Google in that when you go to the Amazon website and type in a search term or product, results will appear. Some of these at the top of the page will be subtly be shown with the words “sponsored” or “ad” on the product image. Again just like Google, you can pay to be at the top of these pages by bidding on specific keywords. In this post we will focus on Product Display Ads and Sponsored Products. Product Display Ads are cost per click display adverts that are product or interest targeted to drive traffic to a selected products detail page. Targeting by product or interests means that it is possible to serve your ads to relevant shoppers based on what interests they have, or which specific products they are actively viewing. Sponsored Products work more in a traditional search engine method, whilst Product Display Ads run like the Google Display Network. Here, we can target by keywords and pay to get our products at the top of the results pages. When someone searches the keywords we are targeting, if we are bidding enough to be competitive in the auction then we will appear above the natural search results. 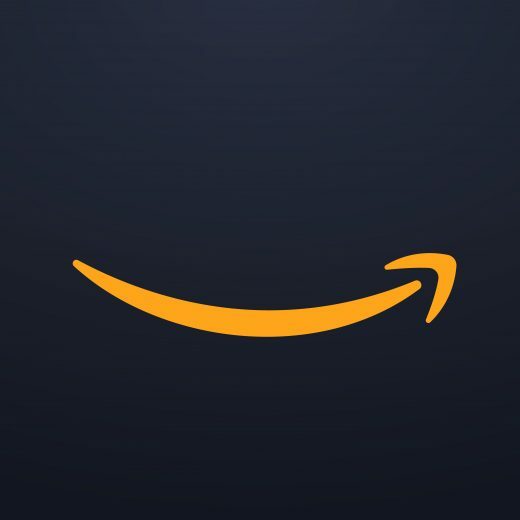 A key positive with Sponsored Products are that they will go live immediately after you submit them whilst other types of Amazon ads will take up to three working days. Here is where your Sponsored Products will be displayed on a search result page. To eliminate the work of manually finding and selecting keywords, you can use auto-targeted ads. 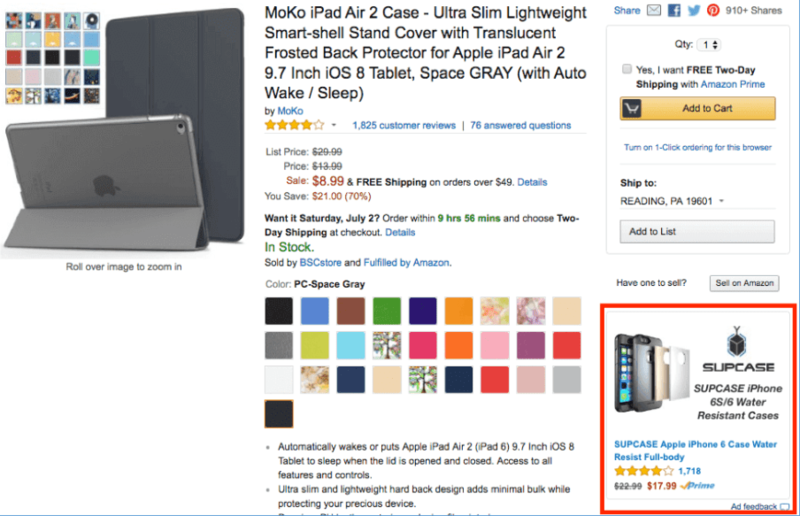 When you create automatic targeting Sponsored Products ads, an Amazon algorithm will collect and use highly relevant keywords for all selected SKUs in an automated way. 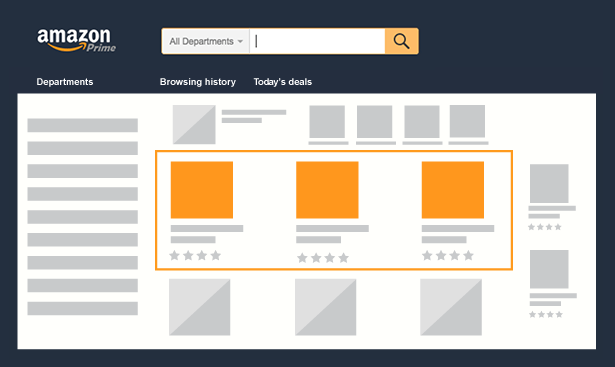 This feature leverages the experience that Amazon has in finding the right keywords for the best campaign performance. As 2019 expects more advertisers to move their money over to Amazon, it’s important that we don’t get left behind and start planning our first Amazon campaign today.